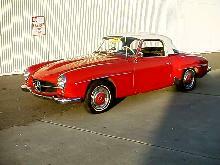 The first small Mercedes SL model was introduced in 1954, the 190SL. 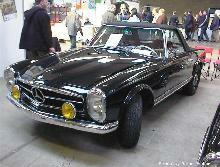 The 190SL was aimed at a similar market as today's SLK model and had pretty styling modelled on the larger 300SL model. The 190SL shared many of its components with the 190 saloon range including the 1897cc straight four engine. 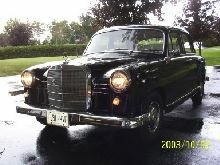 Unlike the saloon the 190SL benefited from having twin-carbs which helped produce a top speed of 105mph. 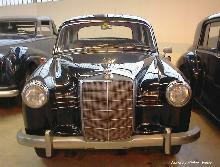 Most of the cars built had open roadster bodies although a small number of coupes were also produced. A factory hardtop was offered as an option along with servo brakes (which were standard from 1956) and many other items. 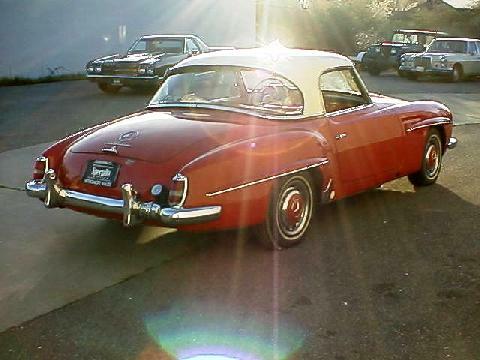 In total, over 25,000 of these attractive sportscars were made from 1954 until 1963. 7' 10" 4' 8" 4' 10" 14' 1" 5' 8" 0 (0) 0' 0"